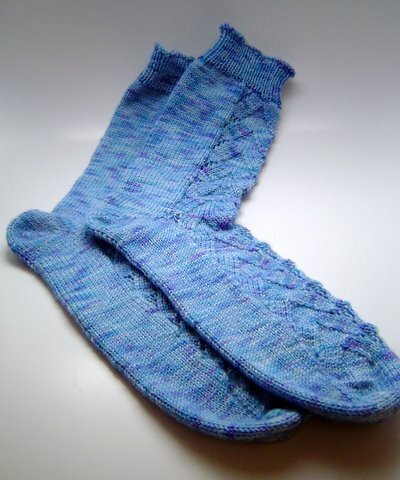 I finally finished my socks! I present to you my Monkey-ish socks! Inspired by chrissythegreat talking on her podcast about knitting her Monkey socks, I started to think about that chart I’d did previously and I couldn’t resist casting on. 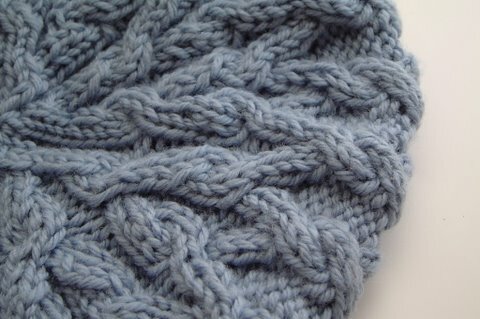 This was an enjoyable knit. And they fit! 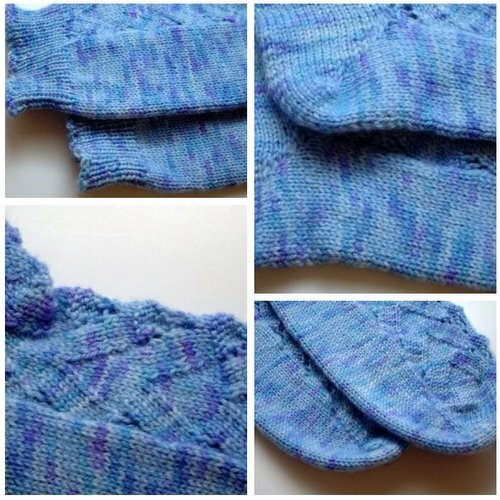 Now I have three pairs of handknit socks, two made by me and one I received during sockapalooza 4. Yay! 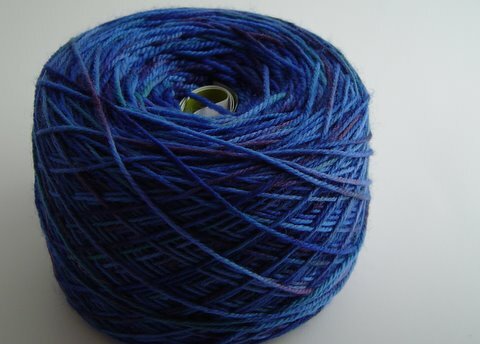 Now … what else am I knitting? 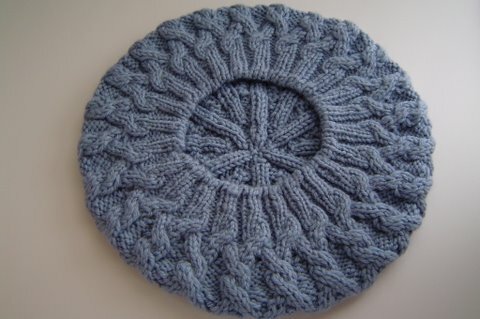 I’m finishing up the hemlock ring blanket. 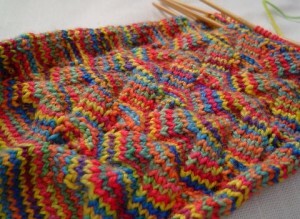 I’m doing the edging and it is slow going but I’m over half way done so I know it won’t be long now. I can’t wait to see how it’s going to look. 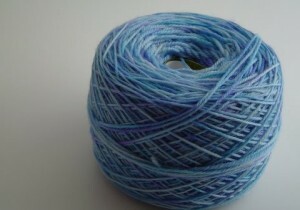 As soon as it’s done, I’m going to start work on the Voyager Stole with the Skinny Dyed Cotton yarn I got from my LYS. It’s such a pretty pink! 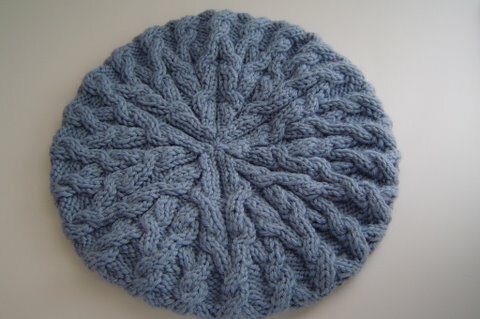 Also, I’ve been asked to participate in a project and have just finished a square for a blanket. I can’t show it to you yet ‘cause that’ll give away the recipient, but I will share when it’s possible to do so. Talk to you later! Happy Fiber Fun! 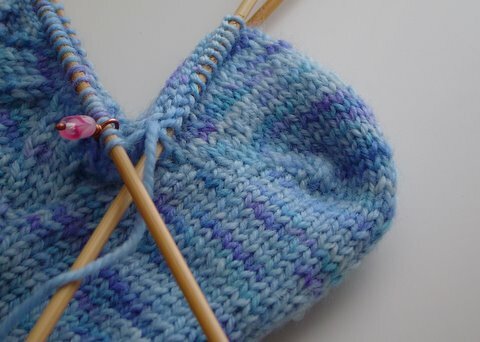 It’s been over a year since I’ve knit socks. 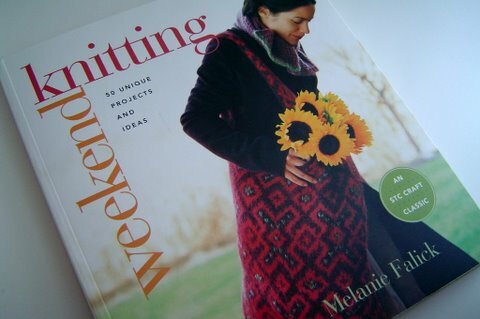 And I blame chrissythegreat from The Manic Purl Podcast for the nudge to start these. 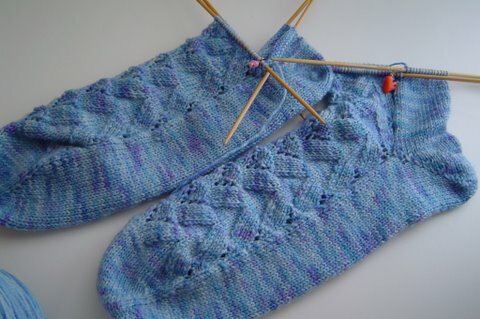 She’s been working on and talking about 2 or 3 pairs of Monkey socks that she’s knit and I was reminded of a previous attempt to work on a pair of toe-up monkeys (my own version). Those only ended up in frustration so I ripped them out. In mid May, I pulled out the chart and some Dream In Color Smooshy ‘Some Summer Sky’ and tried again. Things are going much better this time. But I needed one more color. 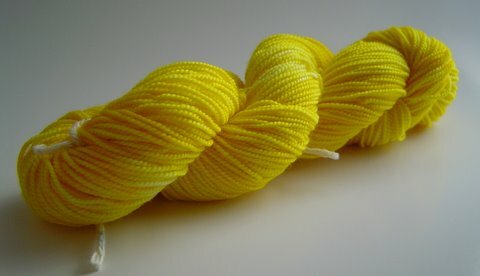 I looked high and low in the sock yarn section at my local yarn store but I couldn’t find the color I wanted – Yellow. Actually there was a yellow but it was too Easter-Eggy. 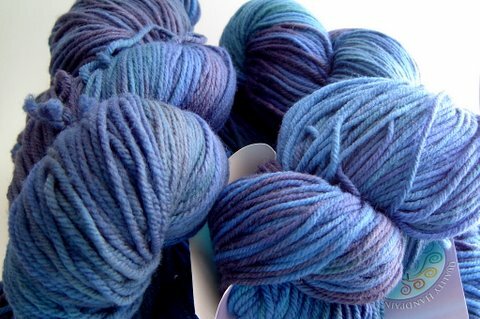 So I made the decision to dye yarn to get the color I wanted. 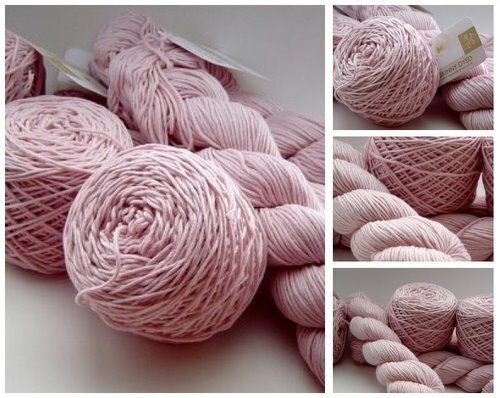 So I bought some ivory colored ShiBuiKnits superwash sock yarn. … I mean, I just wanted a single color … how hard could it be? 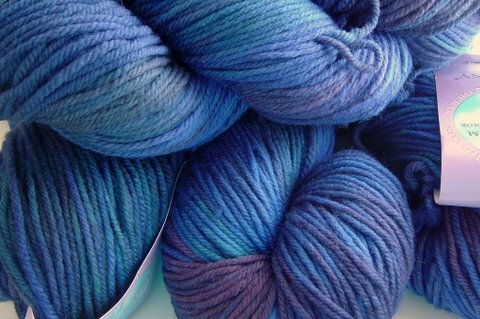 *thinks of previous dyeing yarn disaster* So I set to work this past weekend, using the crock pot I got from Goodwill for the first time. Well, I am yet at the stage where I can translate what I have in my head to the dye pot, but I managed to get a nice color and there’s even a little variation (and I do mean little) to the color. I think it came out nice, don’tcha think? 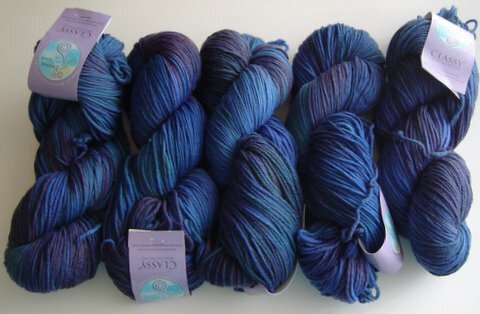 Five skeins of Dream in Color ‘Nightwatch’. I’ve already started Lady Eleanor with it. 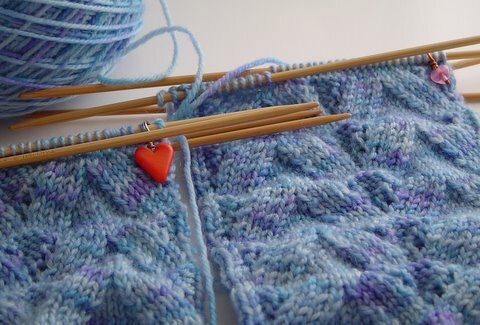 I have no goal for completion because I want to enjoy the process of knitting this stole. 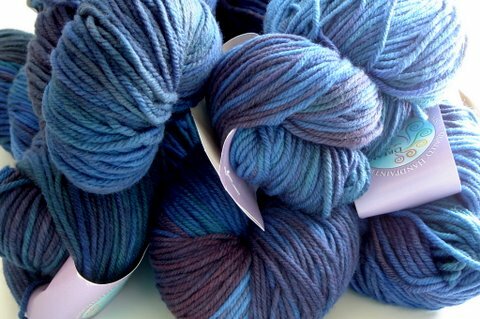 Such lovely yarn to knit with. Here’s some lovely photos for you to enjoy.